Sincere thanks to all who contributed to our Anchor to Windward Capital Campaign. Your generosity strengthens the Society’s long-term financial stability and we appreciate your support. We will post the final numbers soon, but it looks like we’ve met our goals, thanks to you. 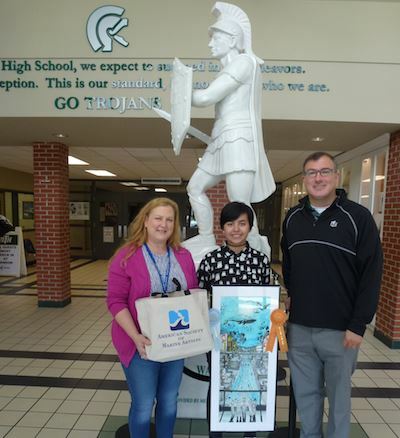 Stephanie Turk, Art Instructor (left) YMAS Best in Show Winner Daniela Blancarte (middle), Principal, Jamey Moore (right) – North Hall High School, Gainesville, GA. 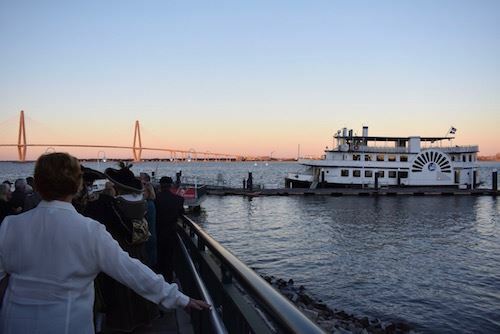 The Society, in conjunction with the United States Navy, United States Marines and United States Coast Guard, along with other leading national and international institutions, museums and historical societies, has produced a multi-part documentary on the Naval War of 1812 using many of our member’s works. Click here for more information and to order your copy. All proceeds benefit ASMA.